I’m always impressed with (and a little confused by) the huge amount of white rice that comes with Chinese takeout. It’s always more than you need to eat with your entrée, almost like they’re determined for you to have leftover rice. And that’s perfect, assuming you know what to do with it! 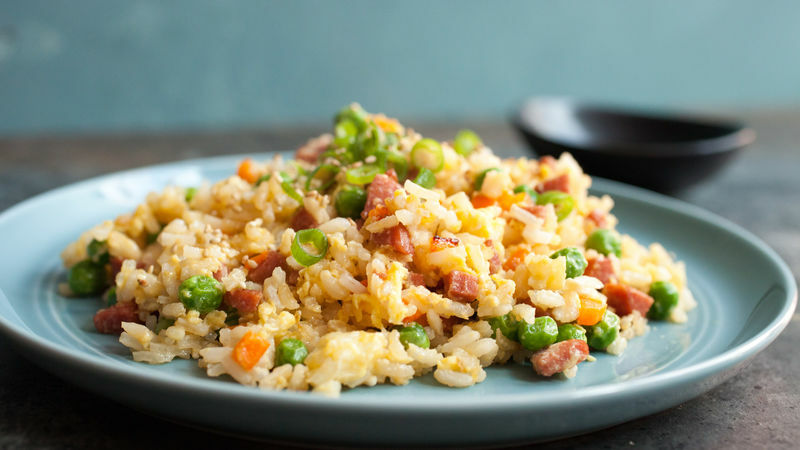 This fried rice dish is the answer to all your leftover rice questions. 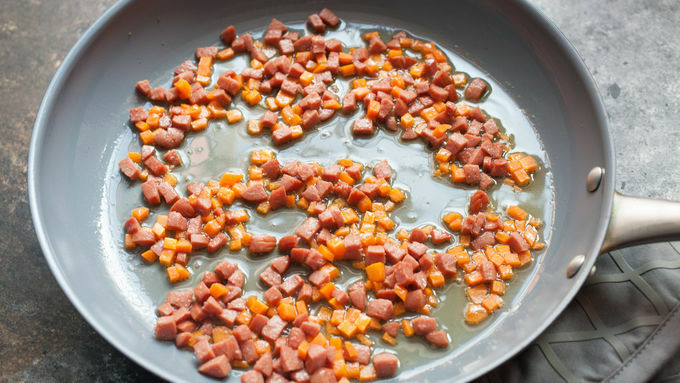 Inspired by Spam™ fried rice, it combines really simple ingredients (hot dogs!) plus a dash or two of flavorful soy sauce and sesame oil. The whole thing comes together in a few minutes and is really tasty. 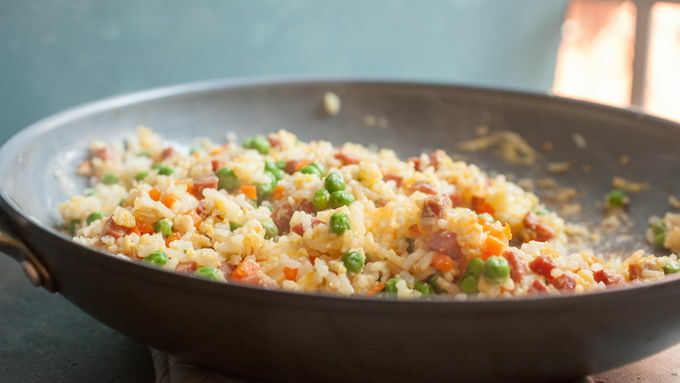 You could make rice to use in this dish, but it’s really made for the leftover stuff. It’s really important that the rice is cold and dry or it will stick to the pan and get gummy. If you want to make it from scratch, one trick is to cook the rice and then rinse it under cold water to remove excess starch. Once you’ve rinsed your rice, you can spread it out on a few paper towels it’ll get dry enough to use. That’s a lot of work just for fried rice, though. 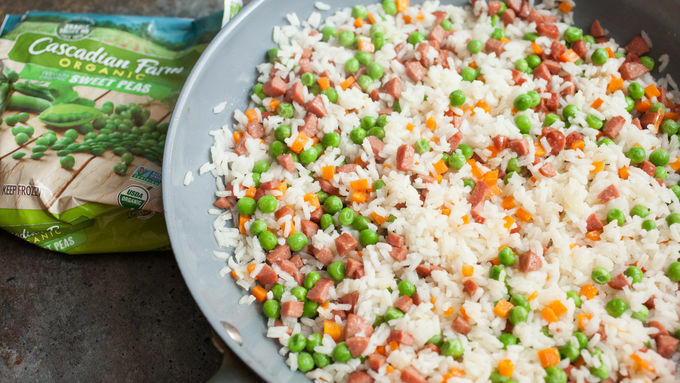 So, the next time you make rice to go with a meal (or order takeout), plan to have a few extra cups so you can make this delicious hot dog fried rice happen!